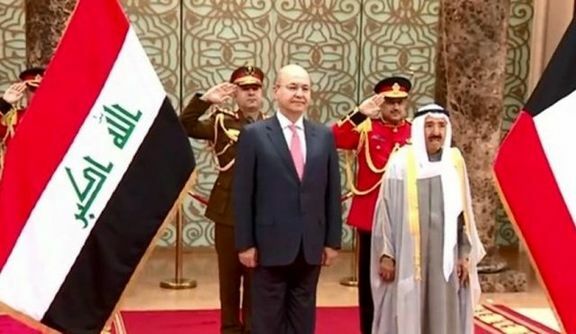 SHAFAQNA- Iraqi President Barham Saleh started on Sunday an official visit to Kuwait as part of his first Persian Gulf tour since taking office last month. “The aims of this visit are establishing good-neighborliness, economic, development integration and joint cultural advancement to serve the peoples of the region”, The Iraqi Presidency said Saturday. 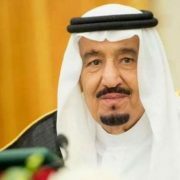 The Persian Gulf countries have been maintaining cautious ties with Baghdad because of its close relations with Iran since the fall of the former Iraqi regime in 2003. 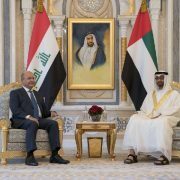 “Iraqi president will discuss ways of boosting bilateral relations to build strong ties with Iraq’s Arab and Persian Gulf neighbors during his visit”, the statement said, AA reported. 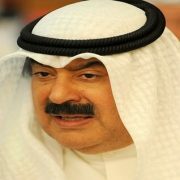 The visit will include delivering part of Kuwait’s property stored at Iraq’s Ministry of Foreign Affairs, while the rest will be delivered in the future, Saleh told Al-Rai newspaper on Saturday. He also voiced Iraq’s support for Kuwait in light of the damage caused by the recent heavy rains, adding that Iraq is willing to provide any aid needed, Iraqi News reported.